Support the Pioneer Valley Workers Center! Now is the time! I've been working with the Pioneer Valley Workers Center for nearly a year now. The Pioneer Valley Workers Center works throughout the Pioneer Valley* to support workers and unions; fight wage theft and workplace abuse; and run the Sanctuary in the Streets project to support undocumented workers and families being targeted by the ICE and Homeland Security's racist detention and deportation machine. We run a 24/7 hotline for undocumented people and their families to obtain emergency assistance, whether that be accompianment to appointments with ICE, legal assistance, food drives, or direct action to show up and disrupt ICE activities. We also organize rallies in support of Safe City/Sanctuary City ordinances, pressure city councils, and hold solidarity vigils with DACA recipients and the victims of the Charlottesville white supremacist rally. We know that the purpose of undocumented status is to create a class of exploitable workers who can be abused and underpaid in secret; threatened with deportation and detention if they try to advocate for their rights. We know that undocumented immigrants come to the US from countries destabilized by US military and CIA actions abroad whether that be unfair trade agreements, water privatization, embargoes, US-lead "interventions," US-backed civil wars, and even US-backed fascist dictatorships. The cycle of war, destabilization, exploitation, and deportation is a highly profitable system for Capitalists who get paid every step of the way through arms manufacturing, labor exploitation, house-arrest ankle bracelets, the prison-industrial complex, and even the plane ticket back to the very countries destabilized by the US. 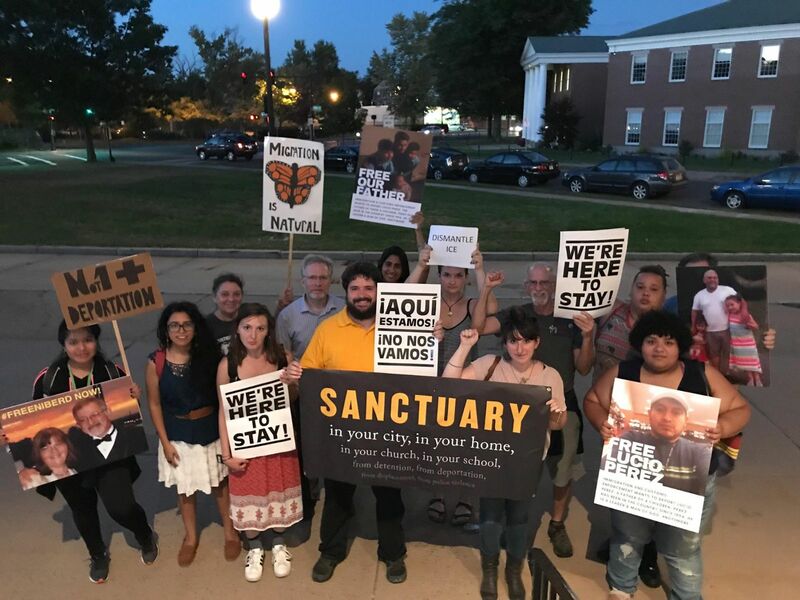 Many of you know that I, with 17 others including 2 ministers and a rabbi, were arrested in October for blocking the entrance to the Old Federal Building in Springfield; the local headquarters of ICE and Homeland Security. The ICE office is being expanded and there have been talks of potentially constructing a holding cell in the Old Federal Building. By blocking the entrance to the building, we were blocking the active construction and the expansion of ICE in the Pioneer Valley. The Old Federal Building is also where Senator Elizabeth Warren has her local office. By blocking the entrance, we were calling attention to the fact that racist ethnic cleansing is happening here in oh-so-liberal Massachusetts too. 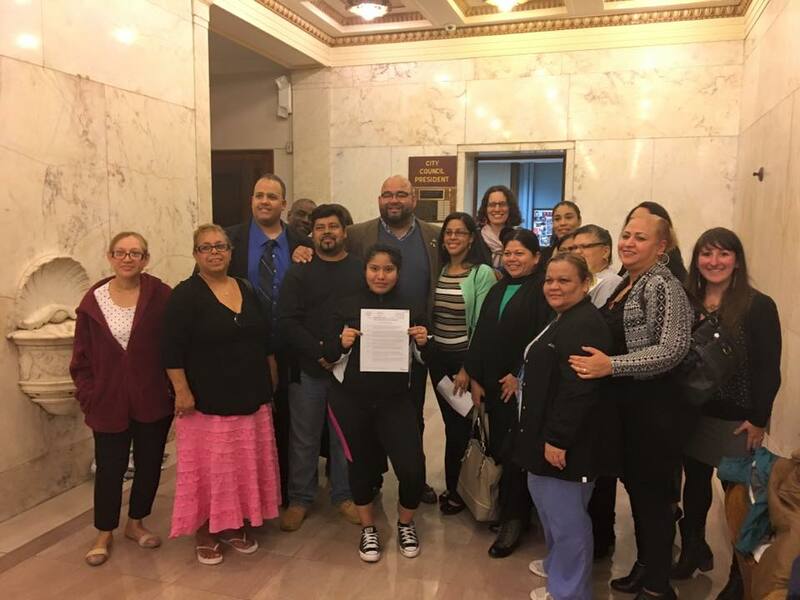 We were calling for Lucio Perez, who was facing deportation that week, to be allowed to stay in this country with his community and his family. Lucio was falsely arrested for child abandonment when he quickly ran into a gas station to refuel his car while his children were inside. The police dropped the charges the same day but despite having now been charged with no crime ICE is deporting Lucio and, ironically, separating him from his children. Compare this to the 18 of us, US citizens, who intentionally and knowingly broke the law impeding the business of the federal government, but we were offered a small fine and sent on our way with a slap on the wrist. To be undocumented in the US is not a criminal offense. It is no more severe under the law than trespassing. Is this fair treatment? or is this a racist criminal justice system meant to uphold the status quo. Lucio is now bravely taking sanctuary in First Church in Amherst where our faith communities around the valley have come together to support him and his family. But Lucio is but one example, his family is but one family, there are many individuals and families in this situation every day, right here in the Pioneer Valley. HOLY CRAP I looked away for ten minutes and my $250 goal got VERY surpassed! Thank you all so much for your support! I've raised the goal to $1,300!! Well!! The $1,300 goal got surpassed! Wow! You're all amazing. I'm raising the goal to $2000!! I'm starting grad school in January so before I take my break from shouting and throwing wrenches in the system I want to raise as much money as I can!! UPDATE: We just got word that the next $8,000 donated to PVWC will be MATCHED. Thanks to this generous anonymous donor, we're raising the 2017 end of year goal to $25,000. Please donate now and double your donation! Your donations today bring us closer to our goal of raising $25,000 to hire a team of worker and immigrant rights fellows to join our team. This has been a tremendous year of growth for the PVWC despite the difficult climate. Immigrants and low-wage workers have been under attack, but together we are building a movement to respond. 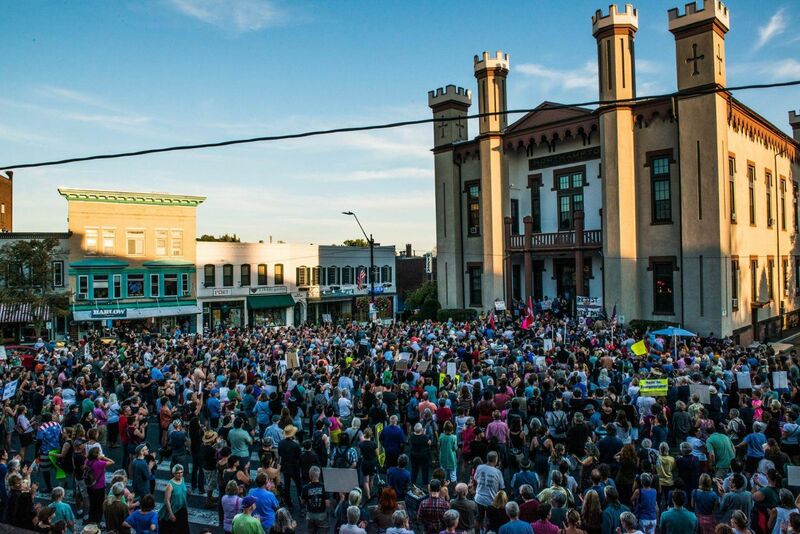 With your support, the Pioneer Valley Workers Center is increasing the power of low-wage workers and immigrants in the streets, kitchens, farms and church basements from Greenfield to Springfield and beyond. All of this work and more has been possible in large part thanks to the many ways that people like you have committed to joining the struggle, sharing your time, your talents and your resources. We hope that you will continue to support us in the coming year. Our goal is to raise $25,000 before the end of the year, to sustain our ongoing work. As always, we are grateful for any amount you are able to give. With your support, we will continue to gain momentum, build our base, fight back, and win! Moritz Heiber 12/12/2017 $120.00 Fighting the good fight, the best fight, actually. Thank you! Gabriel Karpman 12/05/2017 $36.00 h! er.... chai! Kristina Tracer 12/05/2017 $20.00 We must all stand together. Ghost Im-in.Space 12/05/2017 $10.00 Seems like a good cause. Sorry I'm a lil broke at the moment.